Spinal stenosis is a narrowing of the spaces within your spine, which can put pressure on the nerves. It can cause numbness, tingling or weakness in the extremities, problems with walking and balance, and pain when you walk or stand for long periods of time. If you have any of these symptoms or have been diagnosed with lumbar spinal stenosis, Driscoll Chiropractic Care Clinic offers hope. Dr. Driscoll employs the Spinal Stenosis Boot Camp Program that was developed by Dr. Carlo Ammendolia at Mount Sinai Hospital in Toronto. The program can help to improve walking distance and the ability to stand for longer periods. 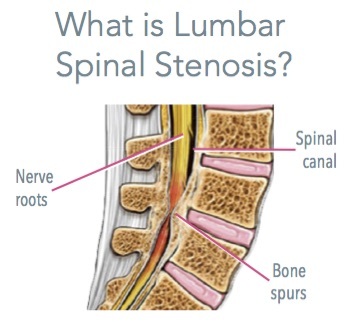 To learn more, download our lumbar spinal stenosis brochure here. Find out how this evidence-based program can improve your independence and quality of life.